We manufacture, supply and export beautiful and elegant Sealing Machine. And we offer the best working relationship with our customers, with many friendly and knowledgeable sales representatives. We also have a strict 3-step quality control system to ensure you are getting the highest quality products made. 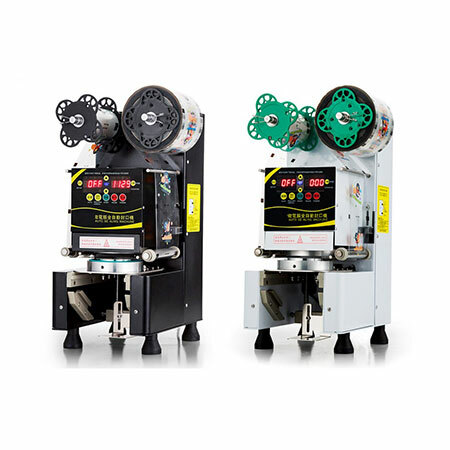 Sealing machine is to seal the plastic cup contained bubble tea with sealing film, so the cup and film would be stick together and the film will be able to be penetrated by straws, making this set of drink easy to access and not easy to leak. Please make sure the cups you are using are with diameter of 95mm, so they could fit this machine, and the model will also fit for the paper cups with 95mm diameter. You could set the machine to be automatic or manual to seal, it's convenient for your employee and to rpevent the chances of hand getting injured. Please remember to purchase sealing films as well.